Robert Worby with music performed at the 2014 New Music Biennial in Glasgow. Including Matthew Herbert, Lau, Dobrinka Tabakova, Errollyn Wallen, Alistair Anderson and Jez Colborne. Staged by the PRS for Music Foundation to coincide with this year's Commonwealth Games, the first ever New Music Biennial showcases new commissions from a wide range of composers across the UK in two special events held in London and Glasgow. 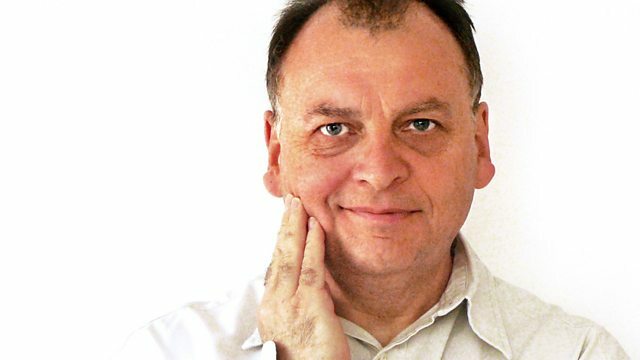 In this second programme, recorded at Glasgow's Royal Concert Hall on the closing weekend of the Games, we hear a collaboration between the folk trio Lau and the Elysian Quartet, 20 pianos from around the world sampled by Matthew Herbert, Niraj Chag's family journey from India to Britain, a film score by Dobrinka Tabakova, a journey in sound between the Highlands and Canada from Mary Ann Kennedy and Scott Macmillan, plus music for shipping container by Jez Colborne, a work for steel pans and accordion by Alistair Anderson and a piece about the lost tradition of Scottish cattle droving by Matheu Watson and Luke Daniels. Performer: Elysian Quartet. Performer: Lau. Performer: Priti Menon. Performer: Denise Anyogu. Performer: Vikaash Sankadecha. Performer: Harvin Singh. Performer: Niraj Chag. Performer: Patsy Reid. Performer: Matheu Watson. Performer: James Fagan. Performer: Luke Daniels. Performer: Mac Morin. Performer: Wendy Doyle. Performer: Adam Cogdon. Performer: Laura Connolly. Performer: Alistair Anderson. Performer: Jez Colborne. Performer: Members of Mind the Gap Theatre Company. Performer: Scott MacMillan. Performer: Colin Grant. Performer: Angus MacKenzie. Performer: Brodie Jarvie. Performer: Allan MacDonald. Performer: Inverness Gaelic Choir. Performer: Scottish Festival Strings. Performer: Rolf Hind. Performer: Richard Uttley. Performer: Richard Benjafield. Performer: George Barton. Performer: Robert Campion. Performer: Isabelle Carré.